QuickBooks is designed to manage payroll, inventory, sales and other needs of a small business. The software's features include marketing tools, merchant services, product and supplies, training solutions. Choose a QuickBooks Klip from the Gallery. In the Connect to Services dialog box, select Connect an Account. 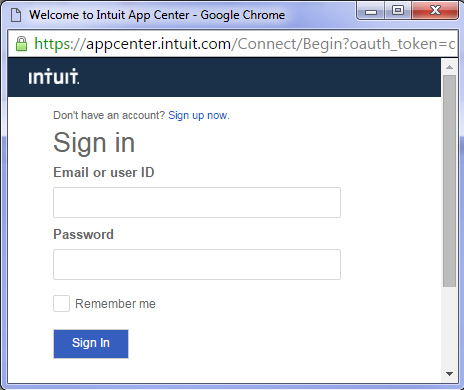 In the QuickBooks popup, enter your QuickBooks login credentials. Note: OAuth Tokens are used to connect to third party web sites without compromising the privacy of your access credentials. To learn more, see Managing OAuth Tokens. You are now asked for your QuickBooks Company ID. 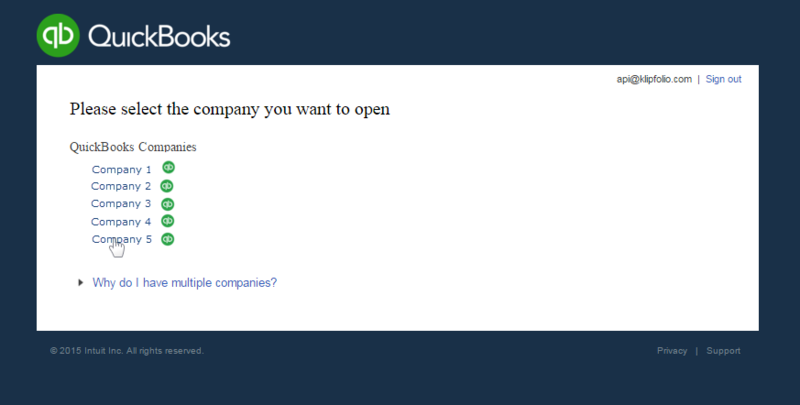 In QuickBooks, select one of your QuickBooks Companies. You are now in your chosen company's QuickBooks homepage. Press [Ctrl + Alt + ?] and a dialog box will pop up with the company ID in it. Your Company ID is everything except the last three letters. 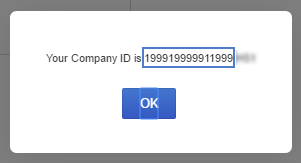 If your Company ID entirely consists of numbers, copy the entire ID, paste it into Klipfolio and remove spaces. To find your fiscal year start month in QuickBooks, navigate back to your company homepage. Click on your Company Name at the top right corner of your screen. Under Settings, select Company Settings. In the Settings sidebar, select Advanced. At First Month of fiscal year, copy the first three letters of your start month. In Klipfolio, enter the first three letters of your start month. For example, Feb.